We can install any type of residential interior and exterior door. Are your front doors warped, split, or difficult to open and close? 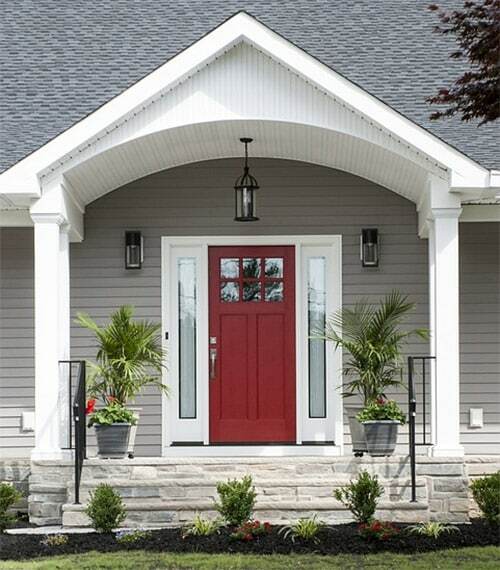 Do you want to improve the ‘curb appeal’ of your property with new fiberglass doors? Need new commercial doors installed on your retail store, office, or shop? Entry doors can cost anywhere from a few hundred dollars to well over a thousand dollars each, and that price is even higher for custom-made wooden doors and commercial security doors. Protect your investment and maximize the safety of your property by having your new doors installed by a professional locksmith. Here at Lightning Locksmith, our fully licensed, insured, and registered locksmith has the hands-on experience and specialized tools it takes to install any type of door on your home or commercial property. And because we are a mobile locksmith that serves all of Delaware County, PA, we can also supply and install professional-grade locking hardware for your new security doors, metal doors, or entry doors to provide you with a simple, all-inclusive door installation solution. Installing a door correctly involves a number of steps to ensure the door hangs correctly, has the right margins, the locks work right, and most importantly, in order to prevent unnecessary damage to the door and the frame. We offer fast, affordable commercial door installation services that include hanging steel doors, security doors, and doors that require automatic opening devices. We can also re-install your existing locking hardware on your new door, or supply you with new deadbolts, mortise locks, keyless entry systems, and other commercial security hardware products. As a locally-owned and operated locksmith company, we take pride in our high-quality workmanship, honest, up-front pricing, and commitment to customer service. When you hire us for your next storm door installation or to install commercial doors, steel doors, or even custom-made wooden doors, you can rest assured that we’ll take the time to carefully measure and prepare the opening, repair the frame as needed, and hang your new doors so that they swing freely and seal properly. Contact us today for your complimentary quote on professional door installation in Delaware County, PA, including Wayne, Brookhaven, Newtown Square, and surrounding areas.